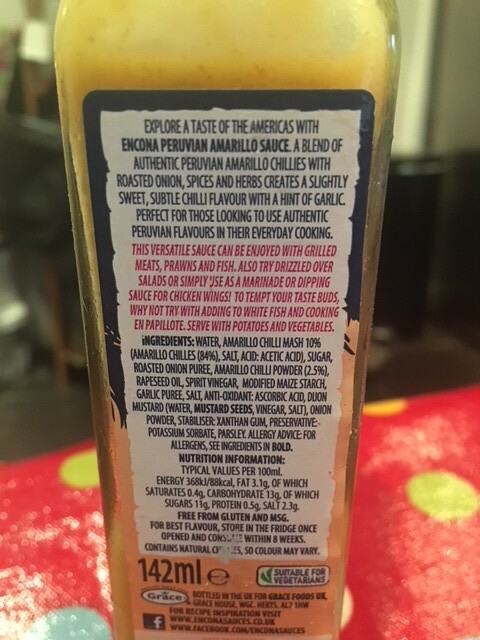 Encona "Peruvian Amarillo Chilli Sauce"
Being an absolute sucker for the Aji types I couldn’t resist trying this at £1.39 a bottle. Like all Encona it is, IMO far too sharp and vinegary. however I have realised that if you pair this with food that you would usually dress with a vinegar dressing this can really work. It is sweet and has onion and garlic coming through really quite mild in terms of Chilli heat, I have had hotter Thai style “Sweet Chilli Sauces” but there is heat there. Nice smooth pouring consistency. 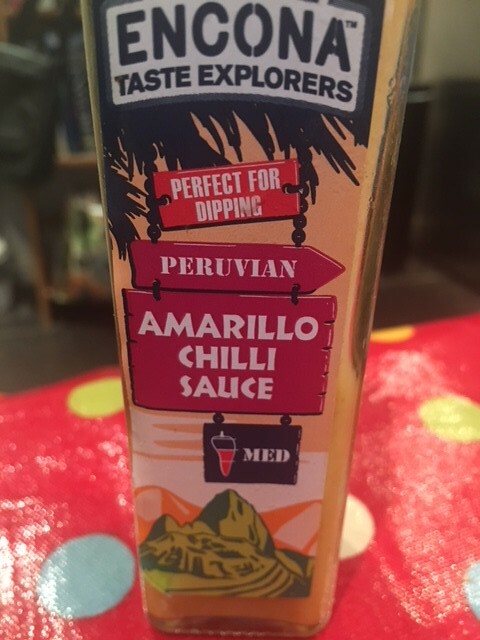 In summary, in my book this makes for an excellent salad dressing really good on avocado, tomato, salad leaves etc and you can be generous with it, but I would not recommend for dipping or use in or on cooked food.